A Donegal man who lost the use of his legs in a motorbike accident has said he feels like he can walk again – after having his sight restored. Unfortunate Aindre Reece-Sheerin, 55, has suffered a series of mishaps in his life. He was born with a severe eye condition and then was struck by an object in his eye in he school playground when he was just 13. “As a kid my left eye had a very severe squint, to the point where they actually called me ‘cyclops’ at school. I got terrible abuse at school and I was affected by that really badly. “It was straightened when I was 13 and a few months later at school I got hit by a projectile from a catapult into the right eye. It hit me so fast I didn’t even get the chance to blink,” he revealed. Aindre, from Burt, was left with partial sight but had to wear very thick glasses even to see a little. He battled with his condition all his life but his life took an even more tragic twist when he lost the use of his legs in a motorbike accident sixteen years ago when he was 49. However he never allowed his disability to hold him back and he became a wheelchair athlete and also teaches music. But now thanks to a miracle eye restoration, Aindre has his complete sight back. 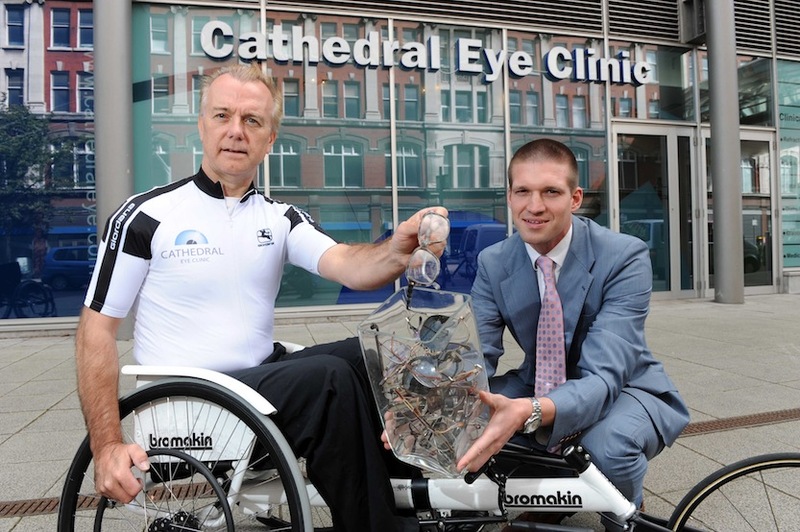 The operation, the MPlus eye restoration, was carried out at the cathedral Eye Clinic in Belfast. “Every week they are improving a wee bit more each time. When I looked in the mirror recently, I couldn’t believe the colour of my eyes, because I’d never seen them before – it was just phenomenal. “I cannot put into words how profoundly, in the positive sense of the word, this has affected me. I am so happy- I don’t have the words to describe how fantastic it feels and how genuinely grateful I am to Professor Moore from the Cathedral Eye Clinic. 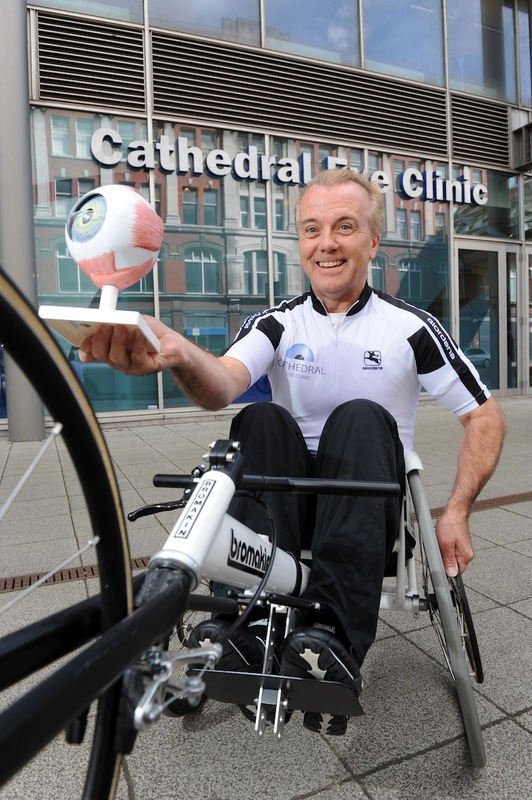 “Is having my sight restored more significant than having the power in my legs again? It’s a very good analogy actually, because it is phenomenal and life-changing for me,” he said. The revolutionary eye surgery is the latest in vision correction surgery and is now a realistic option for patients who aren’t eligible for regular laser treatment. “The MPLus lens offers a whole new world of sight to people over the age of 40 with outstanding results. This new type of lens inserted into the eye it offers excellent short, intermediate and long vision and most patients can see clearly within a few hours of surgery,” says Professor Jonathon Moore from Cathedral Eye Clinic.